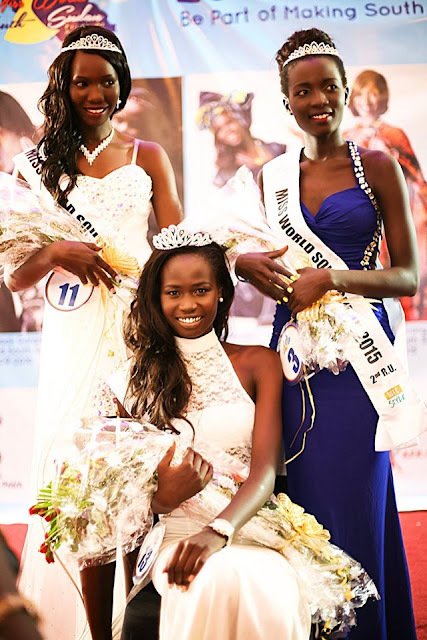 JUBA, South Sudan - Ajaa Kiir Monchol (22) was crowned Miss World South Sudan 2015 at the Freedom Hall in Juba on September 27. 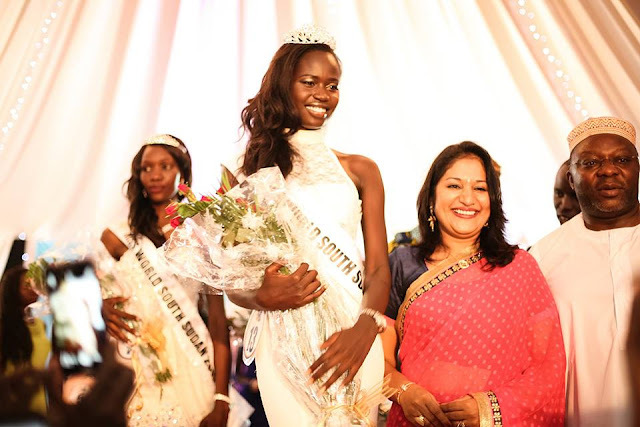 She will represent South Sudan in Miss World 2015 in Sanya, China on December 19. 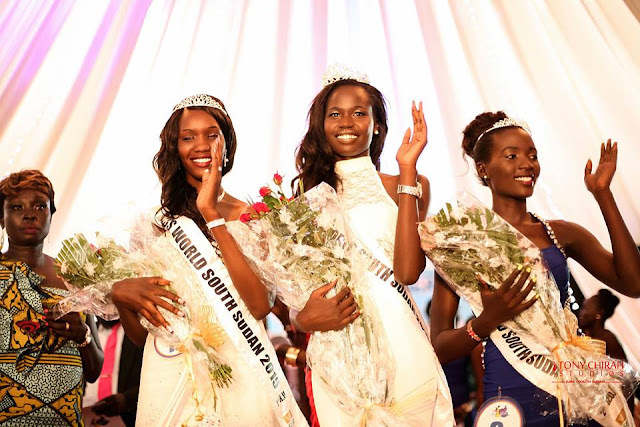 Angelina Santino and Apio Josephine Adelin finished in second and third place, respectively.